Many positive signs point toward an economic boom. How will this affect real estate? It seems like we got an extra “Christmas gift” in the form of some really good economic news leading into 2015. Even the little things, like lower gas prices, have put more money in our pockets. We’re also seeing better national economic growth, lower unemployment, and in many ways, good feelings for the New Year. Real estate has also seen some good news in the past 12 months, with continued growth in equity for both single family homes and condominiums in the Santa Clarita Valley. Can we expect this to continue? Of course, with positive growth in the economy comes the other side of the proverbial “money coin” in the form of potential inflation. We’re seeing signs from the Federal Reserve that they are doing everything to keep this in check so that we can continue to transition from economic recovery to economic boom. One concern on everyone’s agenda is the possibility of rising interest rates. So far, the Fed hasn’t moved one way or another. 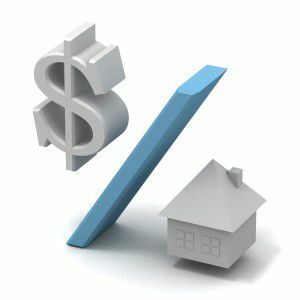 In fact, interest rates have dipped to a 20 month low, giving may potential home buyers encouragement to get “off the fence” and into a home. Considering the current positive signs in the economic and real estate environment, is it time for you to consider buying or selling a home (or both)? We’re seeing some incredible opportunities for both buyers and sellers to maximize their options to move forward on their real estate goals. We’re here to help you realize all of your real estate goals! Montemayor and Associates are a team of highly trained, top producing agents offering a full array of real estate services. Whether you’re looking to buy or sell, our team is here to make it happen.